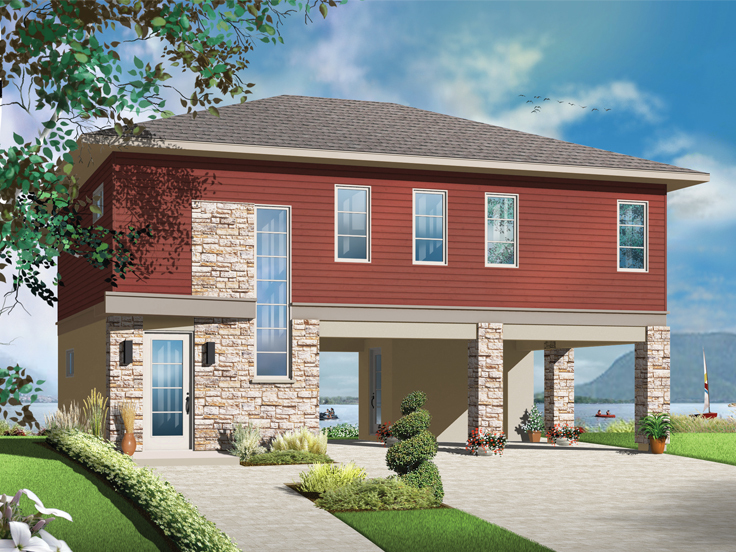 Are you thinking about building a weekend home? 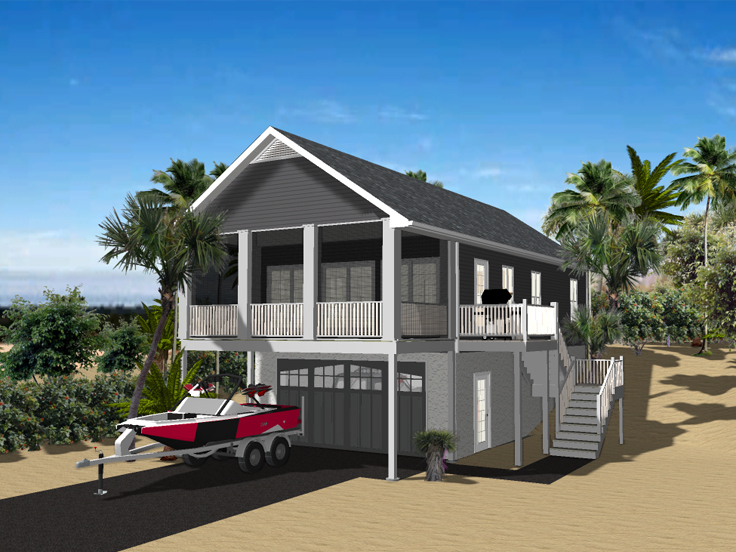 Garage apartment plans are a nice alternative to a vacation home and provide comfortable accommodations plus sheltered parking. Additionally, the garage allows you to store motorized vehicles and other items that you might only use on the weekend. Depending on your property, you might need room to store a gold cart, ATV, motorcycle or Jet Ski. 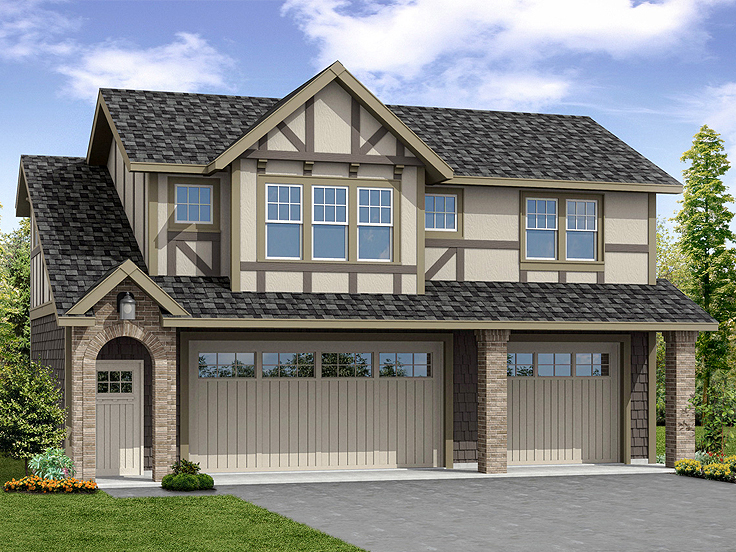 A garage apartment plan is the perfect solution featuring parking/storage space and comfortable living quarters. 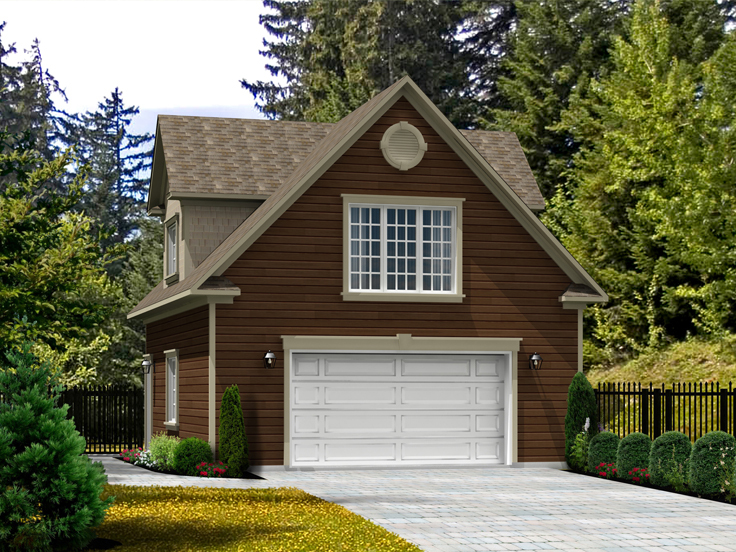 Below are two examples of garage apartment plans that would be suitable for a weekend home. 062G-0084: For those who love modern styling, this nifty garage apartment has definite appeal for those wishing to own a modern weekend home. The two-car garage offers space along the back wall for working at the workbench. The spacious 10’ ceiling is a thoughtful extra. Check out the private entrance for the apartment. It has a handy bench and a coat closet at the foot of the interior staircase. Upstairs you will find an efficient but sweet two-bedroom apartment, ideal for you and the kids or weekend guests. Natural light bathes the living area and kitchen from multiple windows. Conveniently hidden behind a closed door is a stacked washer/dryer. Occupants can step out onto a charming balcony to enjoy a breath of fresh air. Whether used as a weekend home, rented for extra income or housing extended family, this garage apartment is a sure step about a useful two-car garage. 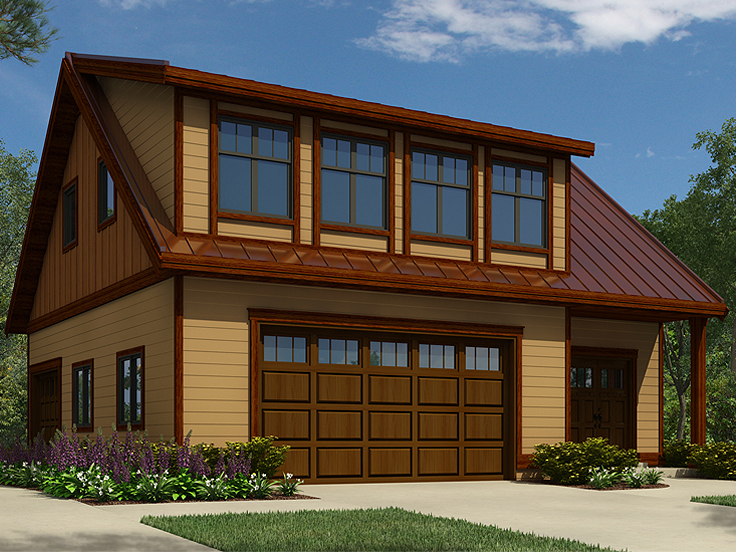 051G-0101: An attractive multi-material façade presents a pretty picture for this carriage house plan. Enter the apartment from a covered porch adorned with a brick archway. Interior stairs lead to the 798 square foot apartment. One can also access the staircase from a door in the garage. Vaulted ceilings top the great room, kitchen, and bedroom adding a sense of spaciousness to the efficient living quarters. The kitchen features an island that can be used for food prep or dining. Laundry concerns are met with a laundry closet located across from a handy pantry. Don’t forget there is a 3-car garage on the main floor for all your auto and storage needs. Whether utilizing the apartment for your weekend home, guests, boarders or hired help, it is truly a jewel added to your domain. 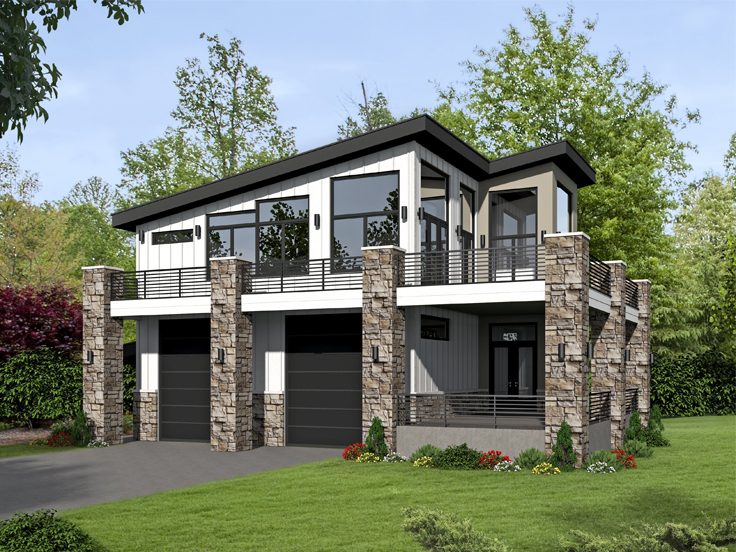 If you’d like to view more options like these, browse our entire collection of garage apartment plans. We may still be in the dog days of summer, but the fall hunting season is just around the corner. Are you already thinking about getting deer camp ready for this fall’s hunt? Do you need to do a little maintenance to your camper or gather your camping gear? You wouldn’t have to do either of these if you had a hunting cabin or permanent structure to stay in while you hunt, and we’ve got the perfect solution for you! 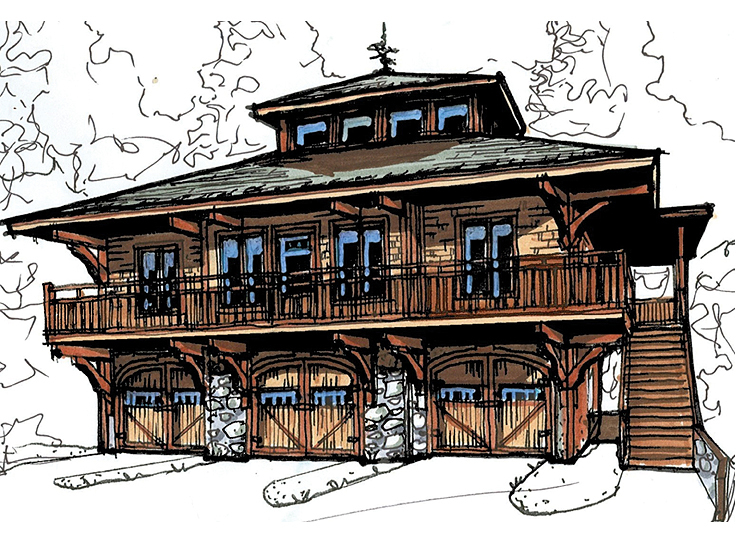 Garage apartment plans are an ideal alternative to a hunting cabin. Not only do they offer comfortable living quarters, but they also offer an entire garage for parking and storage. You can’t beat that! 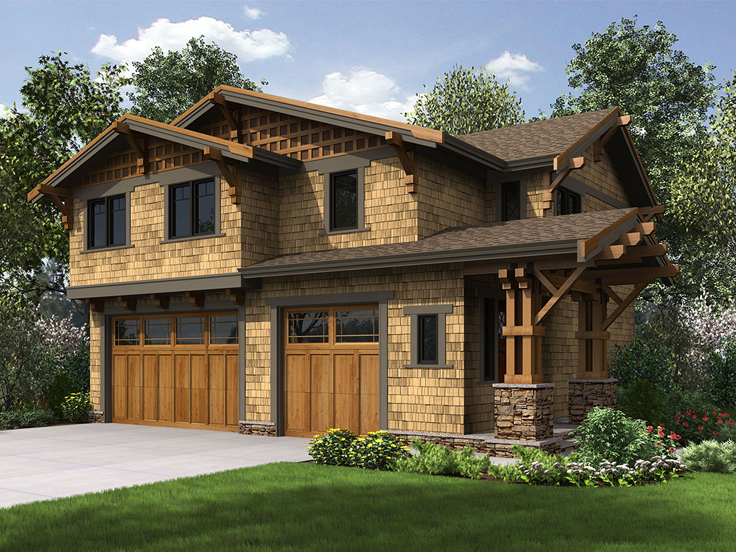 Face it, hunters have a lot of hunting gear and a garage apartment plan is sure to accommodate all of your needs. 012G-0047: Covered carports on each side of this garage apartment offer extra parking space, room to store a boat or other motorized vehicles, or they can be used as covered porches for grilling and relaxing. The art studio/living area makes a nice dining and gathering space and the workshop could easily be used for hunting gear. 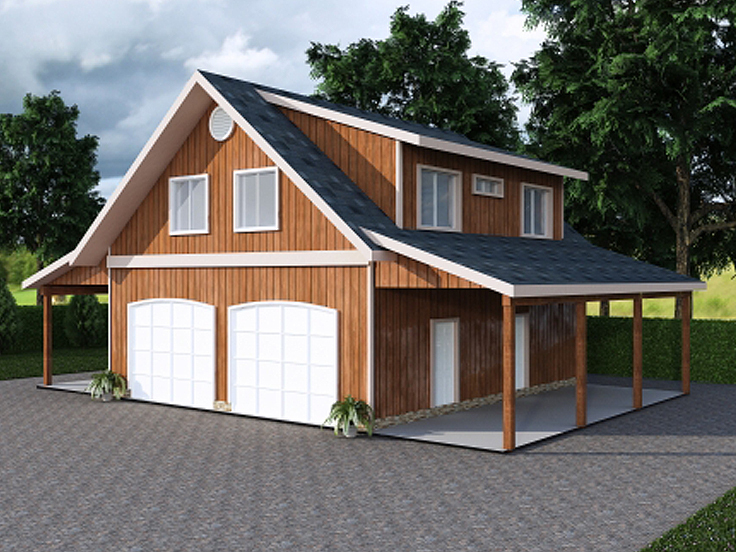 066G-0003: A rustic exterior allows this garage apartment plan to blend nicely with the surrounding wooded landscape. The lock off storage area tucked behind the garage offers space for a gun safe or a place to store your hunting bow and accessories when you’re not in the woods. On the upper level, a fireplace will warm you on a cold night and covered deck is ideal for firing up the grill or smoker. A comfortable bedroom and full bath complete this accommodating garage apartment. 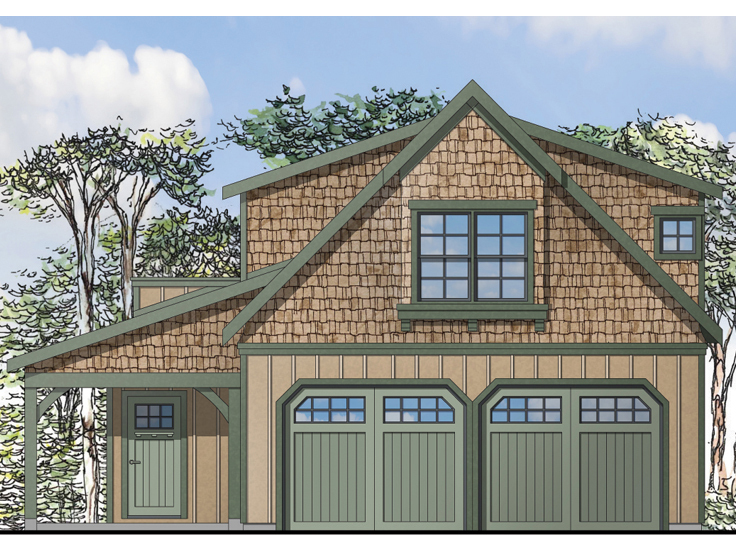 072G-0030: This garage apartment plan features a compact design offering only the basics making it an economical choice for a hunting cabin. 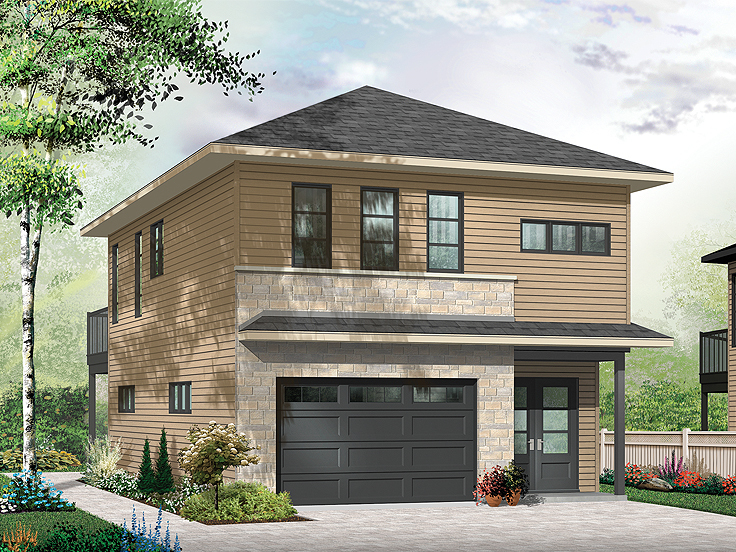 The two-car garage offers sheltered parking while the combined living and dining area deliver comfortable gathering space. The bedroom features semi-private bath access and a laundry closet makes it easy to wash and dry wet or dirty clothes during your extended stays at deer camp. 051G-0069:A two-car garage and hobby area deliver plenty of parking and storage on the main level. Use the hobby room for storing your gear and the garage for your truck and ATV. The covered porch offers a place to kick off your muddy boots before entering. On the second floor one bedroom and a deluxe bath deliver comfortable accommodations while the office space could easily be finished as a second bedroom for one of your hunting buddies. Take care of dirty laundry with the washer and dryer placed conveniently near the kitchen. Finally, the covered balcony provides a peaceful place to enjoy the view of your property. 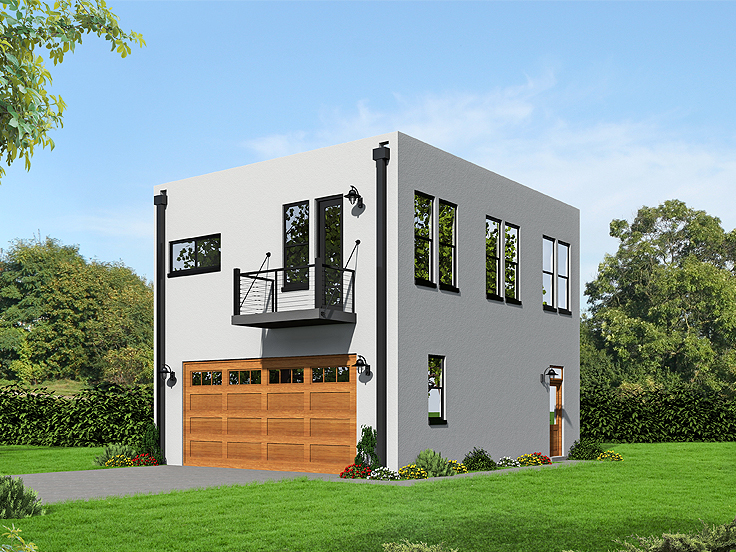 Garage apartment plans are flexible and versatile. While they offer a nice alternative to a hunting cabin, they are also suitable for use as a fishing cabin by the lake or a weekend getaway for outdoor enthusiasts who just need a place to get away from it all now and then. 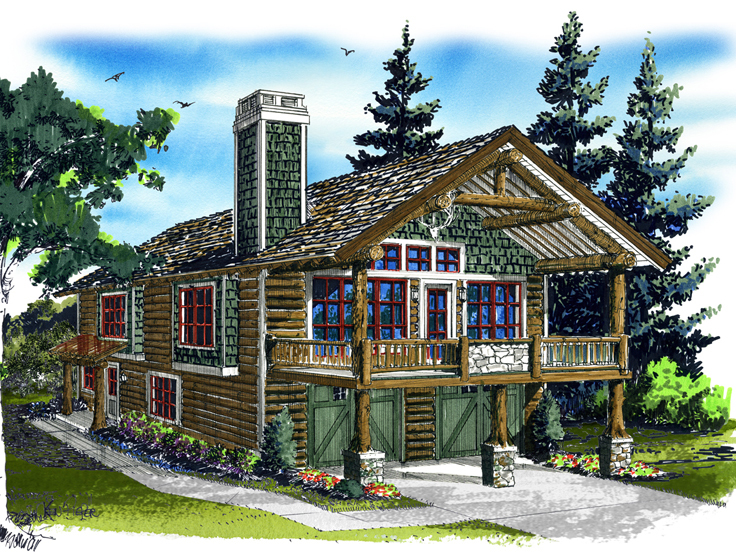 If you’re in the market for a hunting cabin our garage apartment plans should not be overlooked. 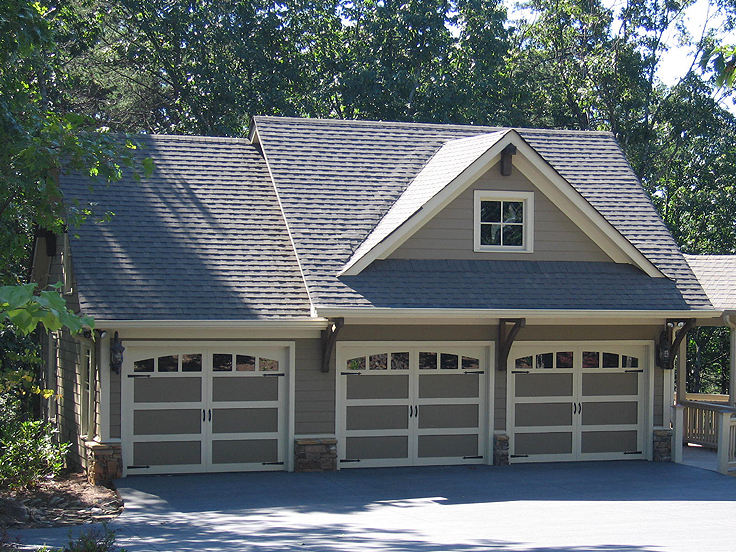 For additional options, please browse our collection of garage plans with flex space.